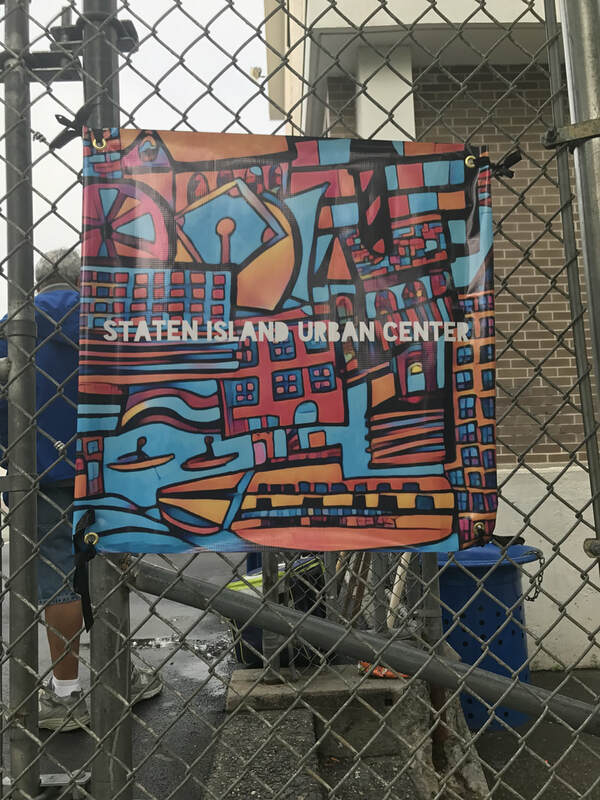 At the Staten Island Urban Center youth development through youth involvement is a way for young people to become socially conscious, to be aware of the world around them, and to discover their own educated social, political, cultural and historical perspectives on the events that are occurring in their own lives. 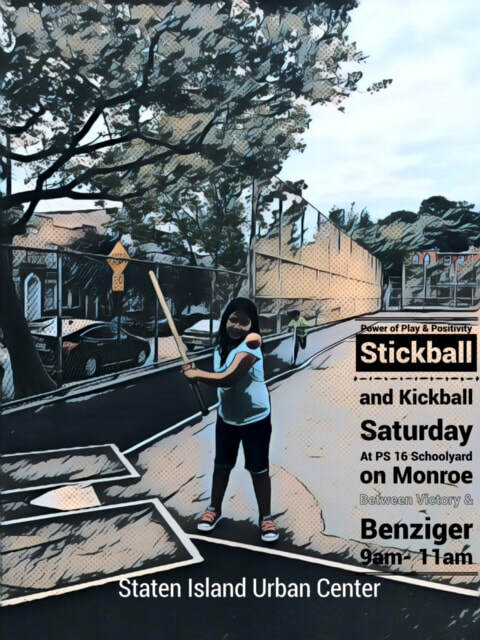 The goal is to help youth to become action oriented and driven by things they care about and are educated on. 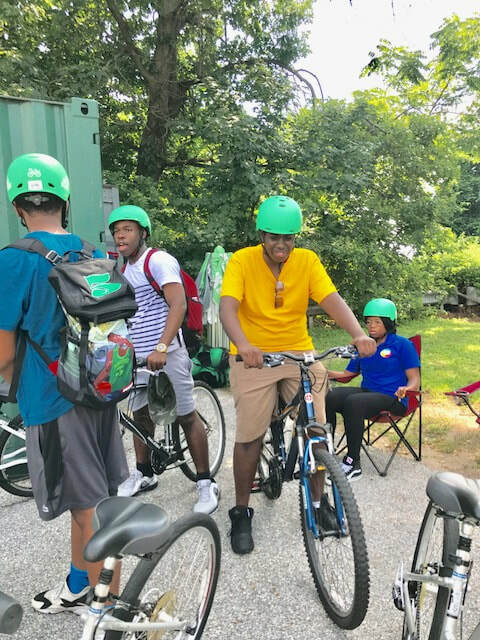 Youth who are involved become dynamic problem solvers finding solutions and acting on them which leads to what we believe are the most successful parts of youth and community development: growth, self-determination and independence. 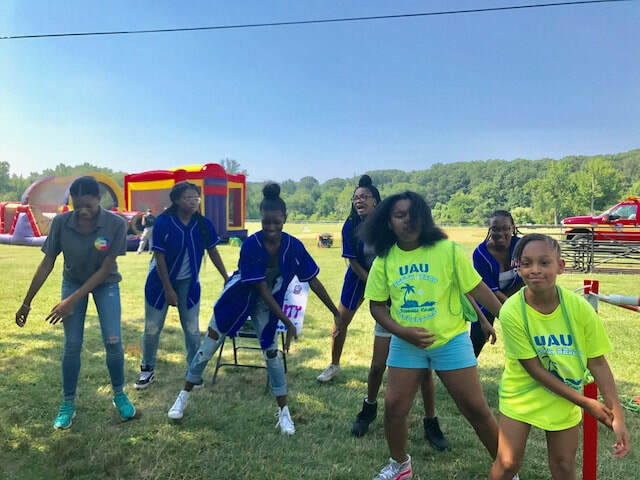 The Staten Island Urban Center's Young Women's Leadership Training Group is a youth development program focused on learning about leadership through the arts. 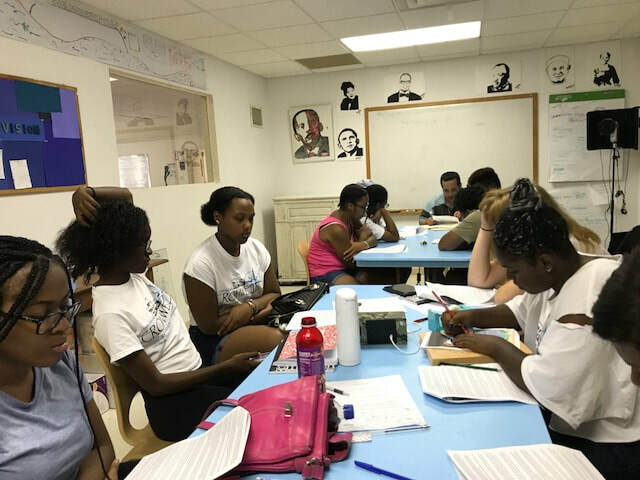 We incorporate college and career readiness, cultural exploration, gender studies and social activism into leadership training while using the arts and music as mediums of expression. 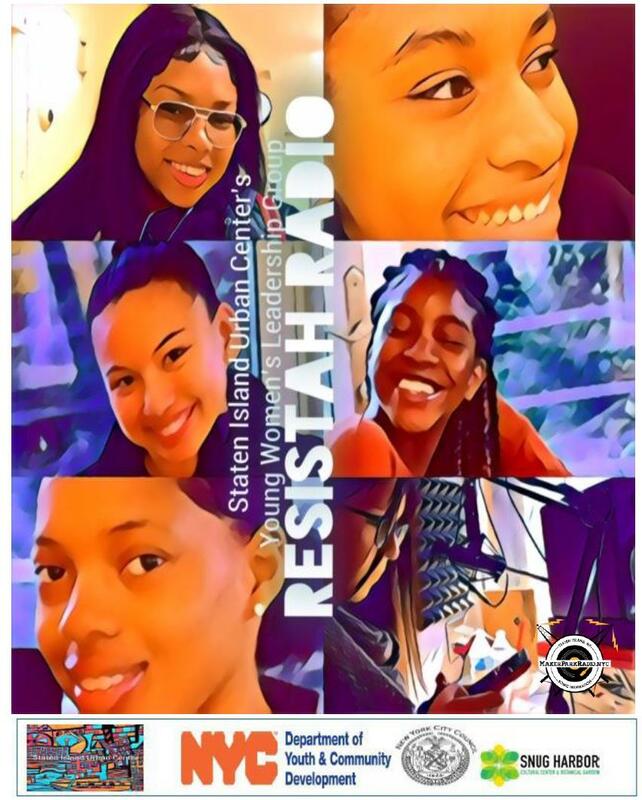 Young Womens Leadership Group launches ReSistah Radio, a 2 hour show youth-produced broadcast on grassroots MakerPark Radio in March 2019. 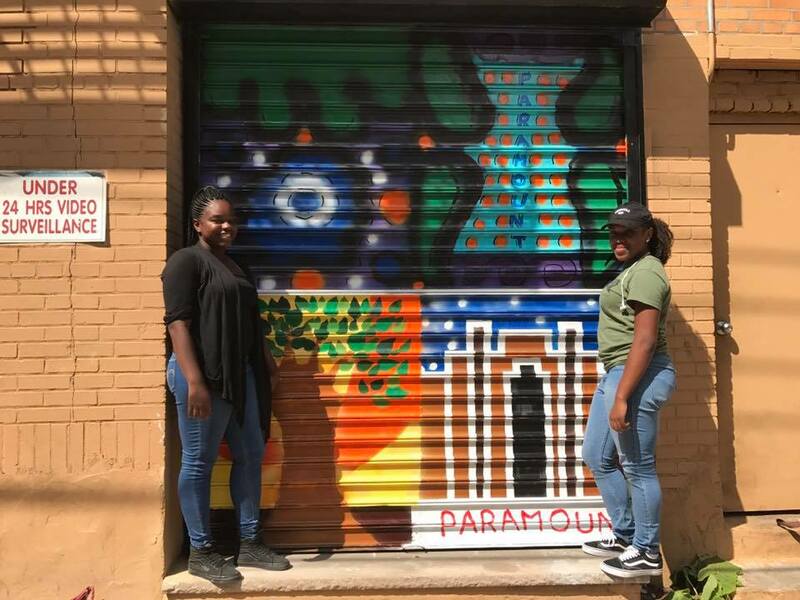 In 2017, Ashley Davis 17 and Faysyntheia Sims 16 - both SIUC Youth Artrepreneurs were selected as one of the youngest artists to participate in the 100 Gates Project in NYC. 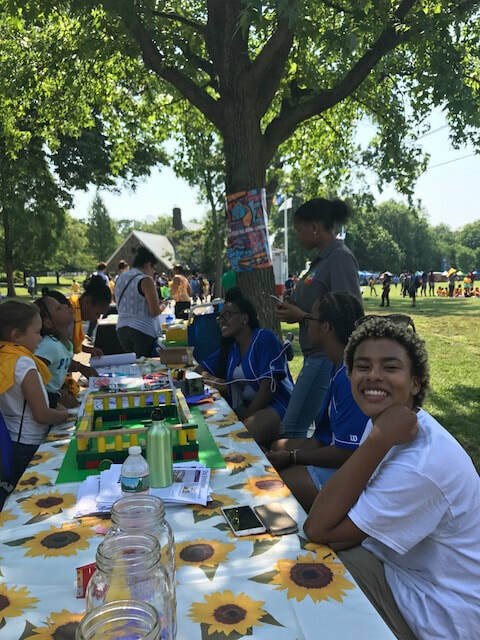 SIUC Youth leaders conducting transportation and recreation surveys at community fair on recreation and transportation needs. 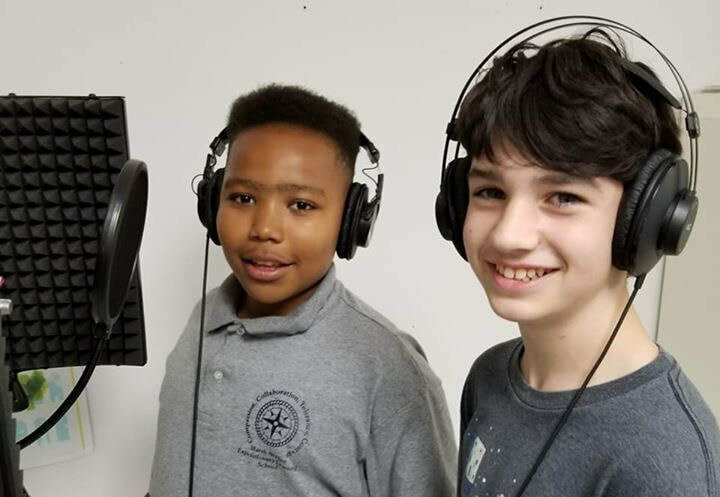 We believe music builds strong character in youth through the discipline of practice, the encouragement of focus and the unique experiences of musicianship leading to a positive peer environment and confident lifestyle choices. 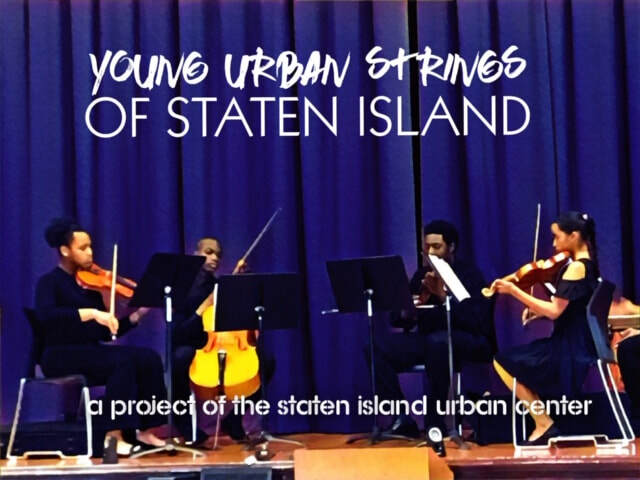 The Young Urban Strings of Staten Island is an ensemble of young musicians (ages 8-19 years old) that are selected to perform in front of live audiences throughout New York City. 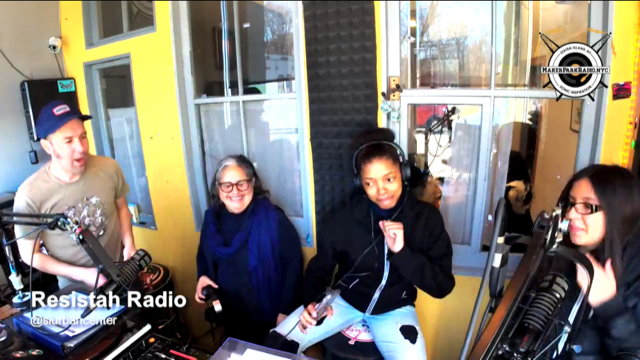 The young musicians learn the importance of working together as a team while gaining professional experience under the direction of the talented and skilled musical Maestro Yvette Washington Wheatley. 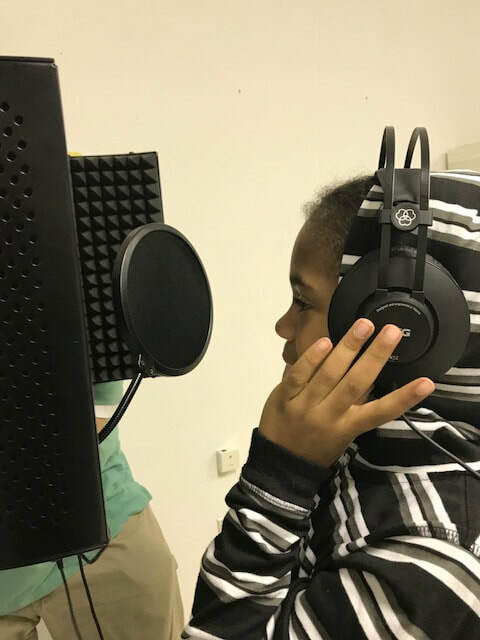 Ten year old Carmelo laying the tracks for his first recording. 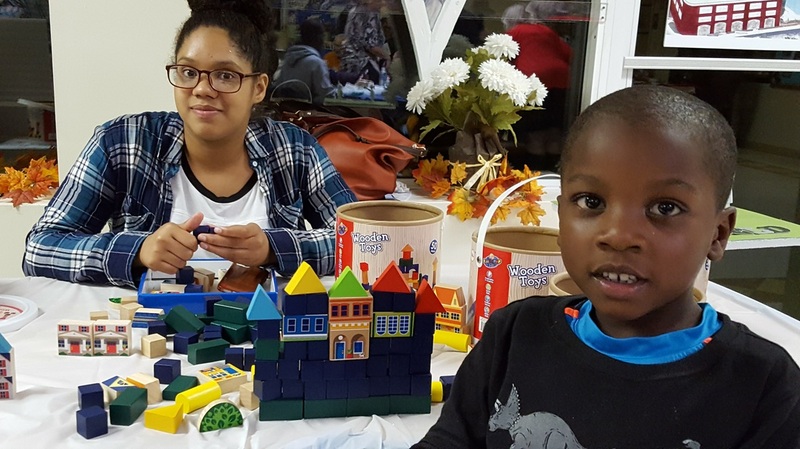 The Staten Island Urban Center's Express Yourself Youth Studio Sessions lead youth to discover their own voices through writing music, poetry and spoken word. 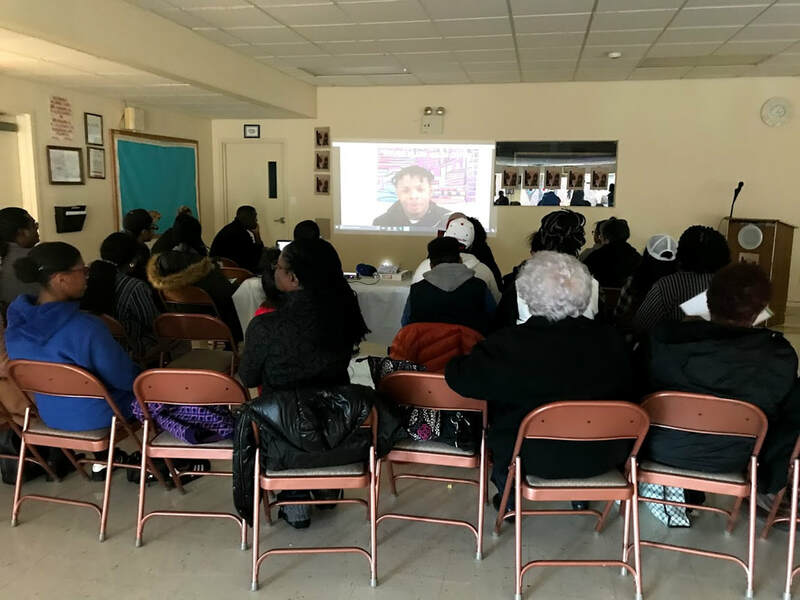 In 2017 we partnered with Lyric Lab, Projectivity Movement and Brighton Heights Reformed Church and were able to produce a performance series that included presentations with videos, self produced graphics and recorded works. Tysen and Kevin make friends at the SIUC Friday Studio Session and collaborate on a spoken word piece. 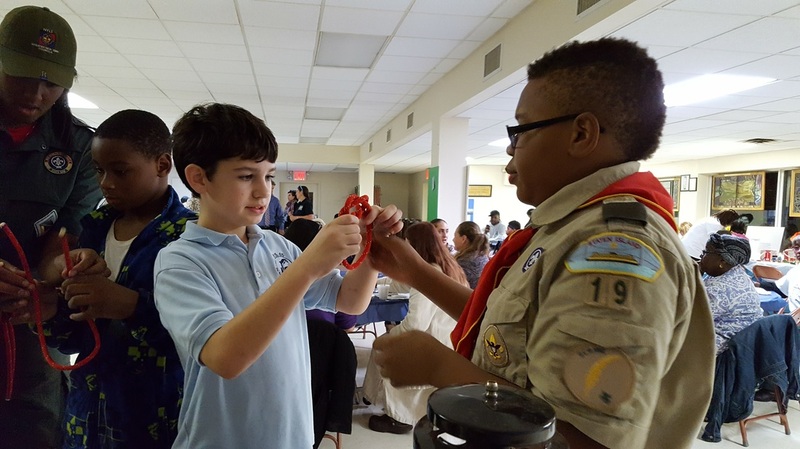 Youth Leadership Development is at the core of the future. 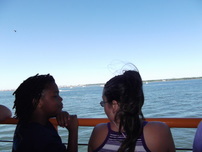 We are developing youth leaders by exposing and involving them in doing good works, creating positive change in communities and schools, exploring a larger world outside of Staten Island, the city and country, understanding history and using discovery as a seed for building leadership. 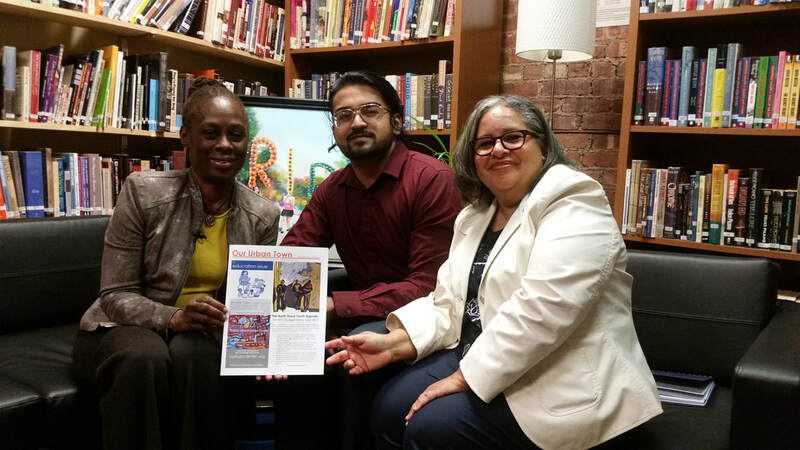 The Staten Island Urban Center has been a catalyst in creating an agenda for the north shore community on youth. 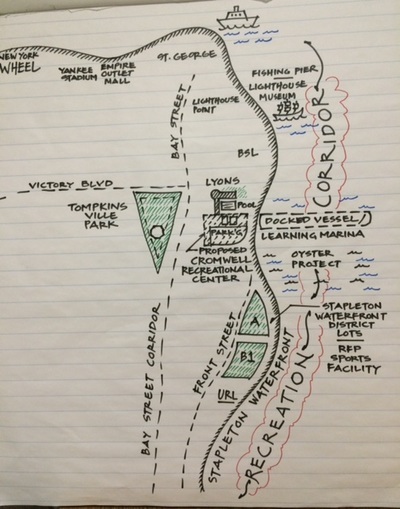 ​Since 2015, we have been advocates helping to bring resources to Staten Island such as the Youth Build program and the New York Harbor Middle School. 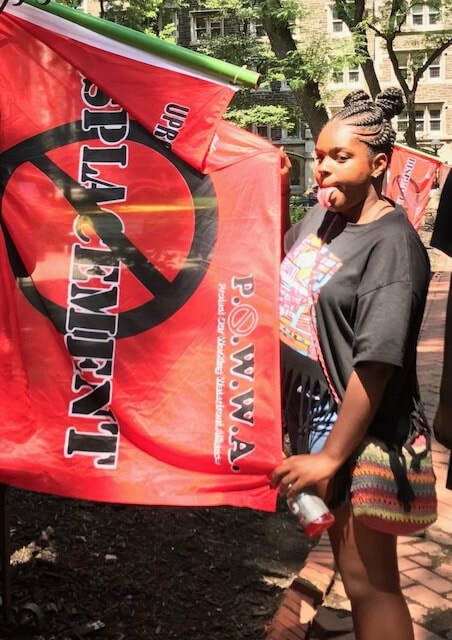 We continue to advocate for other unique resources that expose young people to opportunities that help make a difference not only in their own lives, but also in their communities.